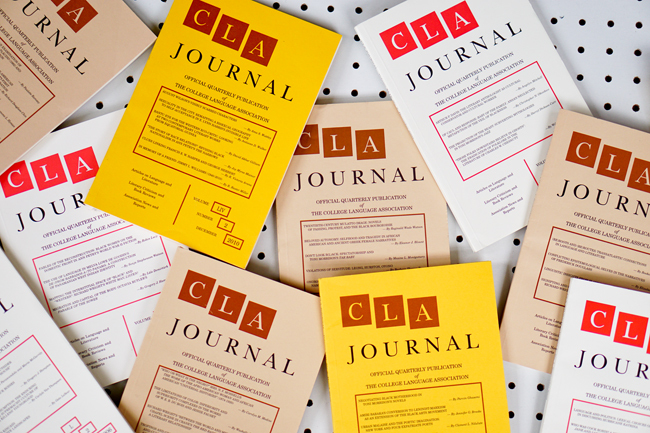 We’ve noted the relative high number of articles published in CLA Journal from 1970 – 1979. It turns out that book reviews were at an all-time high during that time period as well. 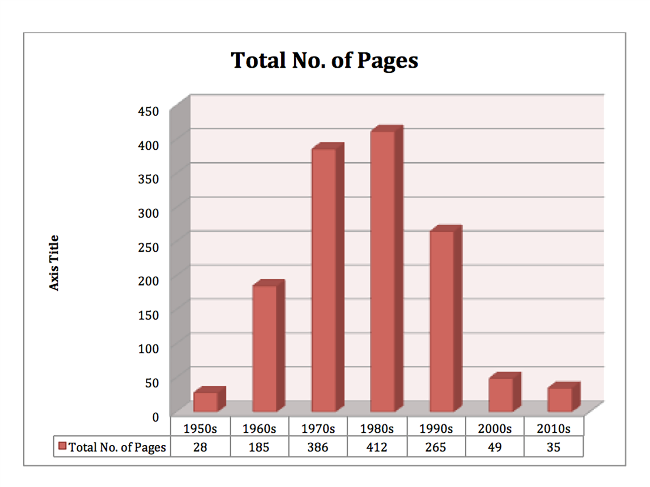 During the 1970s, contributors to the journal published 165 book reviews, compared with 161 reviews published from 1980 – 2012. 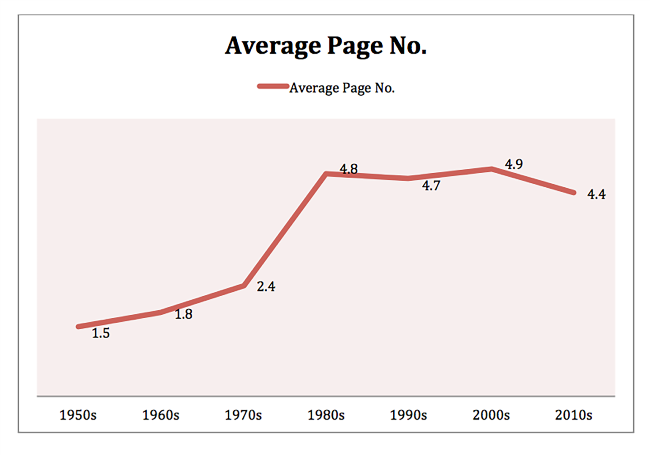 The rate of book reviews in CLA Journal in fact picked up in the late 1960s and begin to taper off by the late 1970s. So the real high point for book reviewing in the journal was from 1967 – 1977. We noticed that 1969 and 1974 represented the largest number of reviews in single years. 1974 was also the year with the highest number of published articles in the history of CLA Journal. The high publishing activity – articles and book reviews – for CLA Journal, from the late 1960s through much of the 1970s, coincides, not surprisingly, with the rise of Black Studies in the academy, the Black Arts Movement, and the increased publication of black books. The changes and relative decline in the journal also seems to match shifts in the fields of Black Studies and African American literary studies. In addition, expanding opportunities, including access to multiple publishing venues, was a plus for scholars, but those opportunities reflected more competition for CLA Journal. As we looked over all of the book reviews, we also noticed even as the total number of book reviews decreased after the 1970s, the average page numbers for reviews grew. The increase of page numbers with articles was also present from the 1980s onward. Over time, contributors were apparently inclined to write longer articles and book reviews. The 2000s decade devoted only 49 total pages to book reviews. This is the lowest number since the 1950s, the year the journal was founded. Even though the publication of actual books increased, the low number of book reviews might also signal a shift where CLA Journal became devoted to producing literary criticism as opposed to book reviews. Our examination of reviews in CLA Journal prompted us to start thinking about various other non-article writings in the periodical and throughout the field. How do bibliographies, interviews, memorial tributes, and other writings assist in shaping and transmitting knowledge in the field? We will continue exploring the journal for answers and of course more questions.